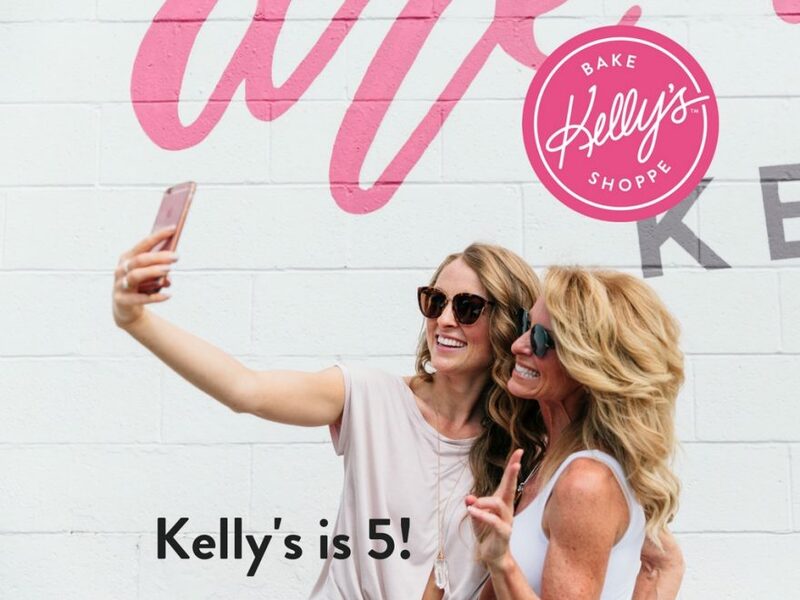 Kelly’s Bake Shoppe Turns 5! Thank you – from Erinn and I– for allowing us to be in your lives. It has been a true honour. From birthdays to weddings, romantic date nights, maybe a “1st cupcake ever eaten” or “1st brownie ever eaten” experience, from happy times to sad times, even lonely days or joyful nights, farewell parties, and everything else in between. We have been included in your special moments and for this, we are so grateful you chose us. This is our goal:To inspire everyone to see life through a lens of love and realize that obstacles are simply detours in the right direction. Thank you Heather! This is so sweet of you… I’m thrilled to have met you and Brett on Sunday!! Thank you for bringing in Jeff’s book too for us to sign. We are so grateful for the positive impact we have had on so many people. It’s amazing how many people love our cupcakes. The limit is 6 free…Buy 6, Get 6! <3 See you soon! How about 50 more years….We love that idea! Thank you for what you do! Thank you Abigayle! We do have a few! Be sure to subscribe to our newsletter at on kellysxo.com to get the latest updates.